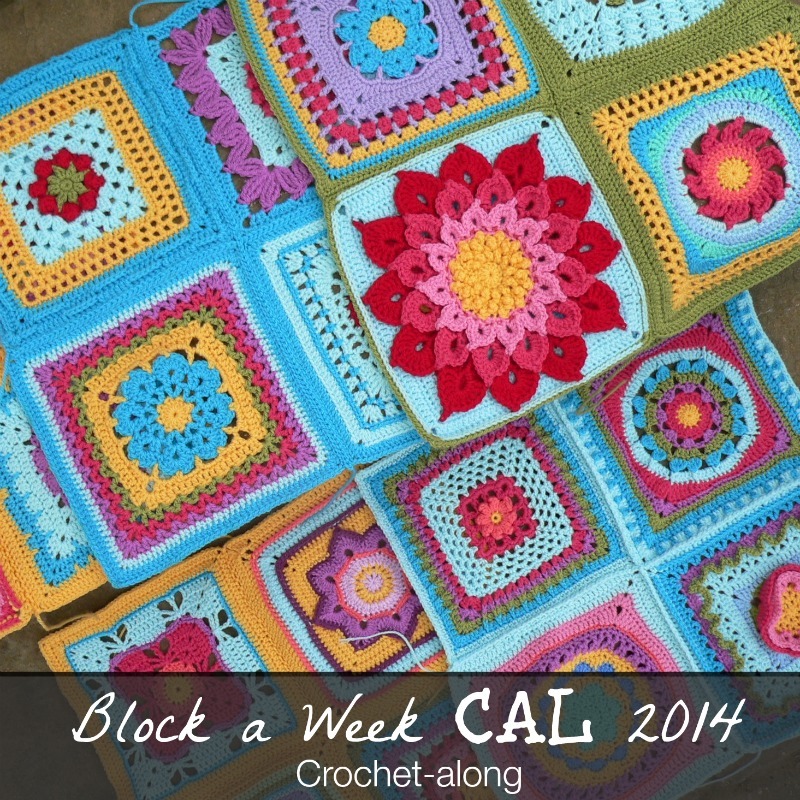 Although the Block a Week CAL 2014 has now ended, the patterns and tutorials are still available and will remain so. You can find all the information and links below. 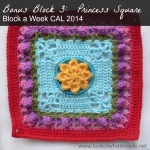 Four of the squares have now become paid-for patterns (indicated in the list below), but the rest remain free. Feel free to join and share at any time. 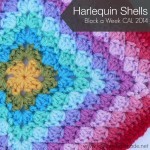 We have now created a Ravelry Thread for this CAL, should you wish to join. Get excited, ladies! 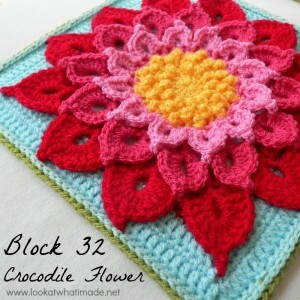 This year I am going to be joining in a mystery afghan crochet-along (Block a Week CAL 2014) and I will be sharing the process here on Lookatwhatimade. 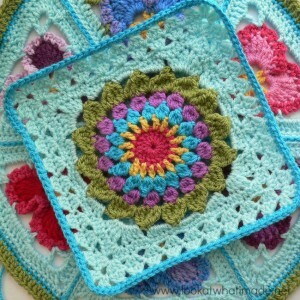 I’ve always wanted to make an afghan…not a baby blanket or a chunky blanket, but a proper honest-to-goodness afghan. Unfortunately, I am one of those people who find the task too daunting. So when the lovely Kimberly Slifer announced that the Official CCC Social Group on Facebook were going to have a CAL, I was over the moon. 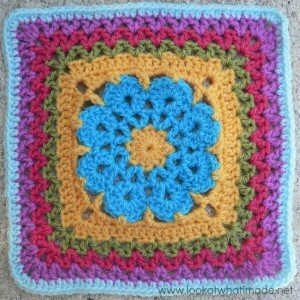 This will be the year that I tackle my first afghan…one lovely block at a time. And I would love it if you would join me! 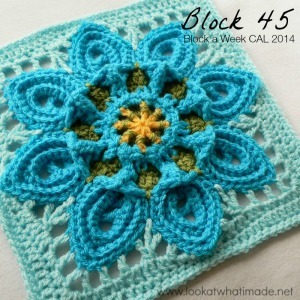 So let me tell you a little bit more about the Block a Week CAL and the people who are making it happen. Clicking on these links will take you to the relevant section, although I suggest reading everything before you start. 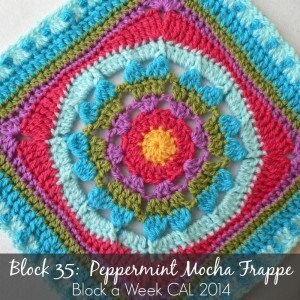 Like I have already mentioned, this Block a Week CAL is for those of us (present company included) that feel like we will never be able to make an afghan. And the cherry on the cake? 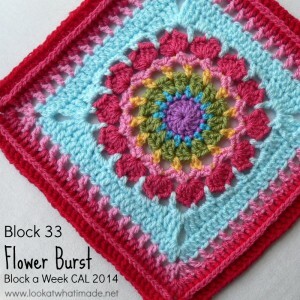 Each block is a surprise! 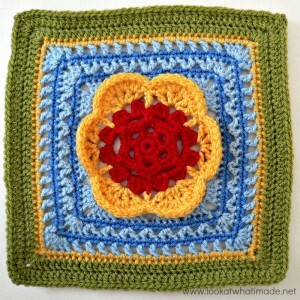 This Crochet-along is hosted by the Official CCC Social Group on Facebook (you will have to be logged in to your Facebook account to access the link). The woman in charge is called Kimberly Slifer and she is amazingly helpful and friendly. 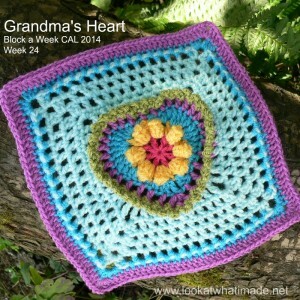 Please feel free to join the Official CCC Social Group so that you can access and utilize the support and encouragement of all the lovely ladies on there. 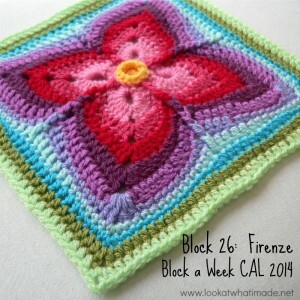 You can also join the Block a Week CAL Flickr Group so that you can see what other people have done (be inspired) and share what you have done (give inspiration). 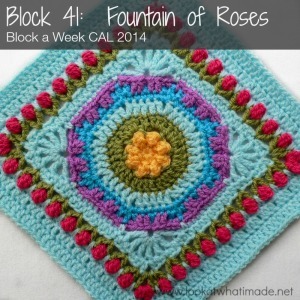 I hope that you will take up the challenge and join along with the Block a Week CAL. 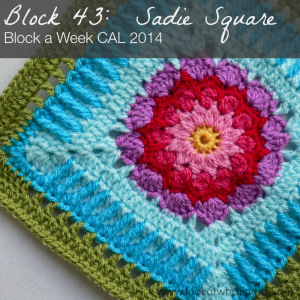 The squares in this CAL have been NOT been designed by me. 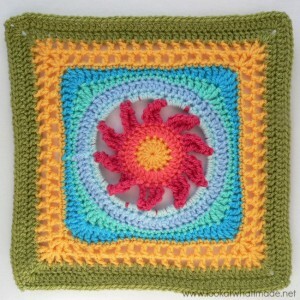 They have been designed by a host of wonderful designers, a list of which you can find below. 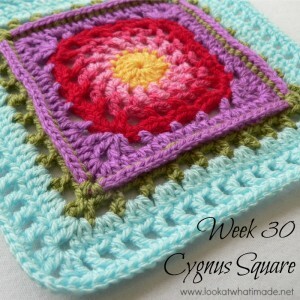 These have kindly given me permission to do photo tutorials for (most of) the squares. 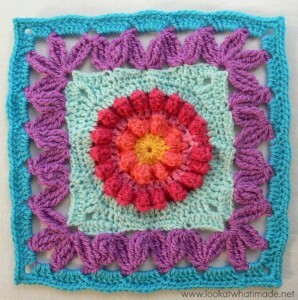 These photo tutorials should NOT replace the actual written patterns. 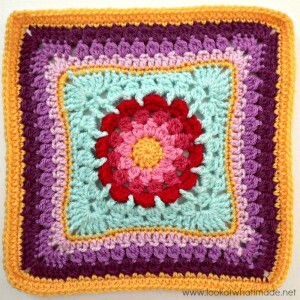 They are only meant to be helpful aides in your journey to make this afghan. 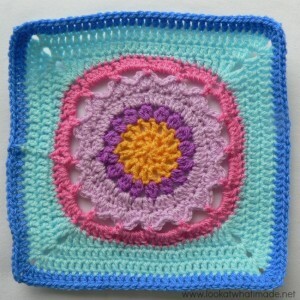 You can find the links to each pattern at the start of each tutorial, under the heading ‘Pattern‘. 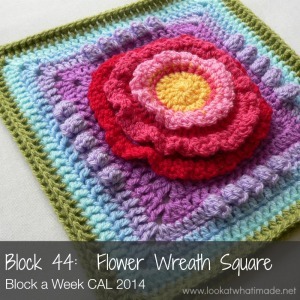 Using the hook and yarn specified in each pattern, the blocks/squares will measure 12″ x 12″. Obviously this is dependant on your particular gauge. 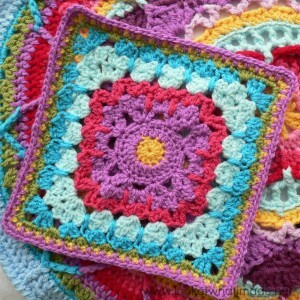 I crochet quite tightly, but my sister-in-law, for example, crochets VERY loosely. 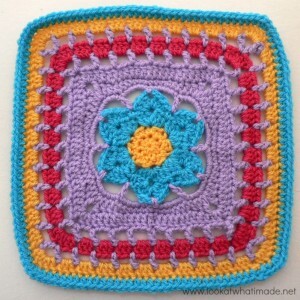 Using a 4 mm crochet hook (US G/6 UK 8) for all the squares, and double knit yarn (light worsted weight/#3), my finished squares have come out between 7.5″ to 8.5″. 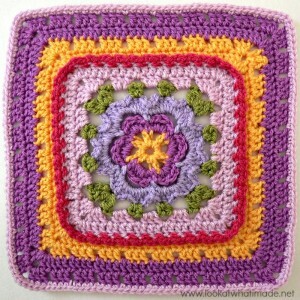 If you are using the same hook and yarn for each square (as I have done), your squares won’t all come out the same size. 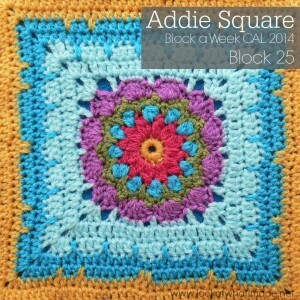 I have supplied a list of Optional Additional Rounds to help you get all the squares to the same size and final-round stitch count (more or less). 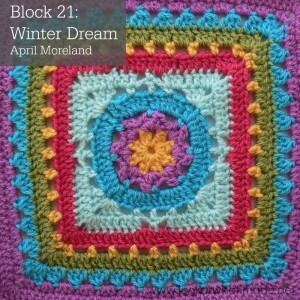 Stylecraft Special Dk (Double Knit/Light Worsted Weight/#3) – You will need 1700 g (5100 meters) of yarn, not including the border and joining. 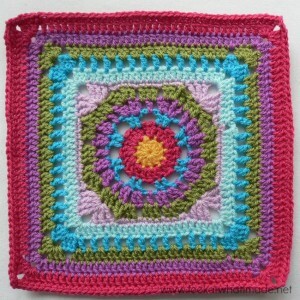 I started out using the ‘Lucy Colourpack’, which you can find HERE on Deramores. Midway through I decided that I didn’t want to use all the colours, so I had to buy a few more skeins. 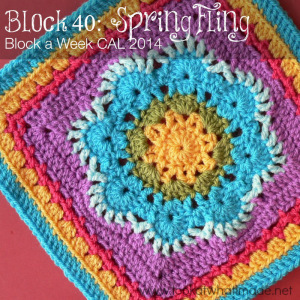 You can find a list of the colours and yardages HERE. 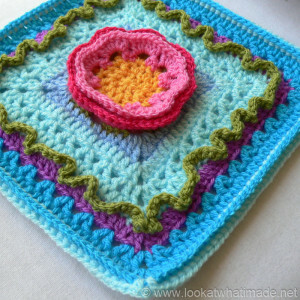 If you would like to include Sophie’s Garden in your afghan (as Betty has done with her blanket), you can find the instructions for that HERE. 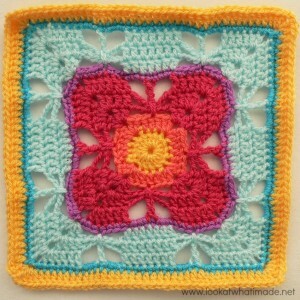 Sophie’s Garden is the size of 4 afghan squares, so if you choose to use it, it will replace 4 of your squares. 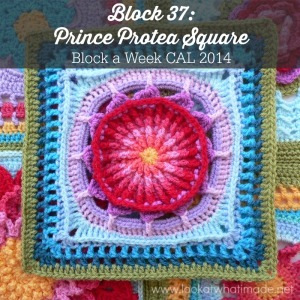 You can find the details for each block by clicking on the relevant image below. You can find a list of the Optional Additional Rounds HERE (as discussed under ‘Size’ above). 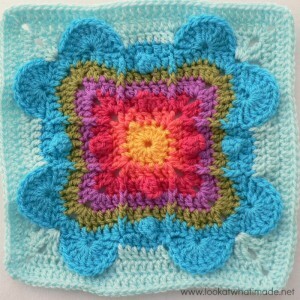 Once you have made your squares, you will need to block them so that they are nice and neat (and the same size). 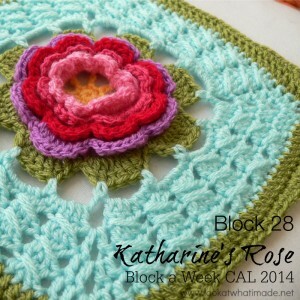 You can read about my DIY Blocking Station HERE. 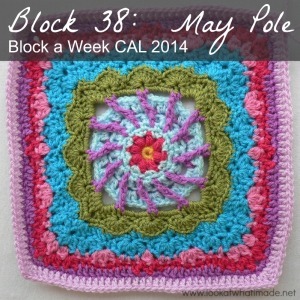 The post includes links to other blocking methods. 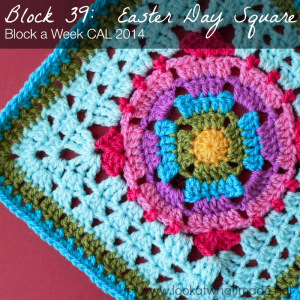 When are your squares are made and blocked, you will need to join them. 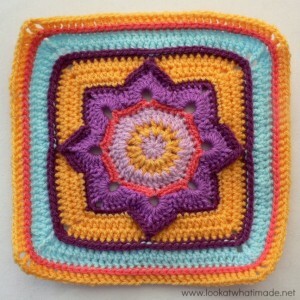 You can find all the information for joining crochet squares in the 5-part series below. 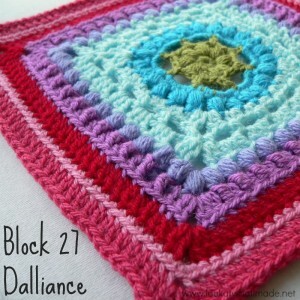 When you have made, blocked, and joined your squares, you will need to add a border to finish your blanket off. 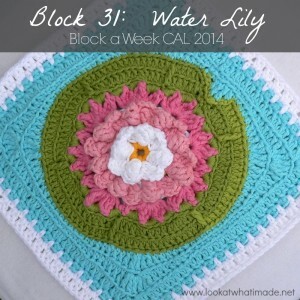 My friend Betty Byers has designed a beautiful border especially for this CAL. You can find that HERE. 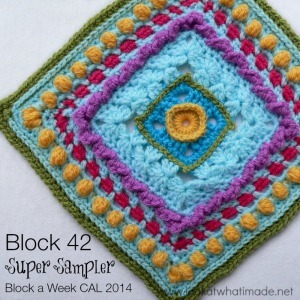 You do not HAVE to use this border, though. 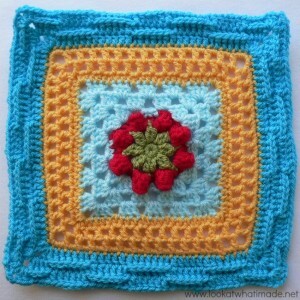 I have gone for a very simple border myself. 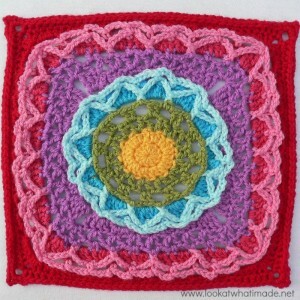 Edie Eckman’s book ‘Around the Corner Crochet Borders‘ is an excellent resource. You can now find a FAQ file HERE on Facebook. Again, you have to be logged in to Facebook in order to see the document. 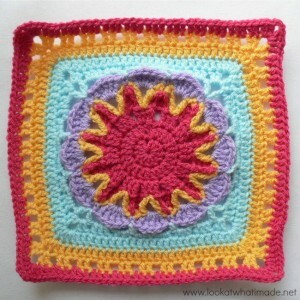 Could the blanket be done in worsted weight yarn ( acrylic)? 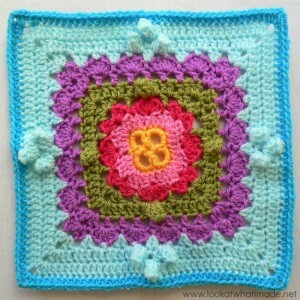 The squares then would be bigger, correct? 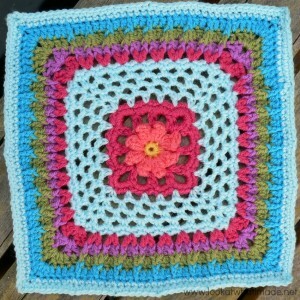 I am also wondering if it would make the blanket last longer, more sturdy? 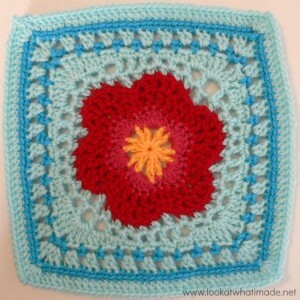 I am considering this to be an heirloom blanket and want to makeit last. Hi Michelle. 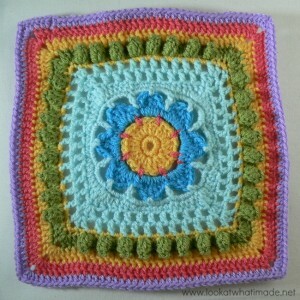 Yes, it can be made in worsted weight, although it would be very big. 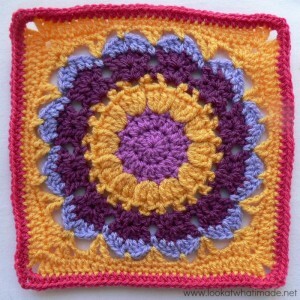 Using a thicker yarn won’t necessarily make it last longer. 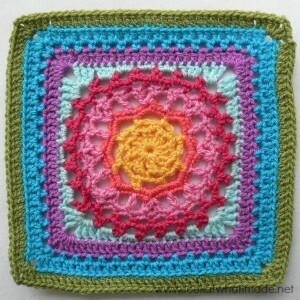 I think the quality of the yarn and the density of your stitches will play a bigger part in how long it lasts. Hi Vema. 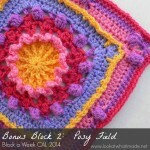 The infamous ‘blue and white’ blanket is being shared by a pattern farming site, not by us. 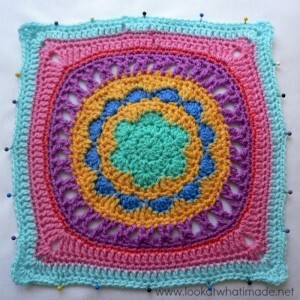 It is a photo of someone’s personal interpretation of the CAL and I do not, unfortunately, have the details for which yarn/colours/hook she used. I hope you find who made it so that you can ask her. I would LOVE to know!